Acamar — Tiled Layout and Clean Design Responsive Joomla Template Created by 42Theme. This templates have specific characteristics, namely: With tiled layout and overall clean design, Acamar provides the perfect base for your corporate website. Three navbar layouts, custom modules and a many of handy features offer you the flexibility you need to present . You can use this Acamar — Tiled Layout and Clean Design Responsive Joomla Template on Cms themes category for accounting, agency, business, company, consulting, corporate, ecommerce, finance, joomshoping, marketing, modern, online store, page builder, portfolio, shop and another uses. With tiled layout and overall clean design, Acamar provides the perfect base for your corporate website. Three navbar layouts, custom modules and a many of handy features offer you the flexibility you need to present content. Pages are built using a page builder. Now you can build your website with advanced drag and drop layout builder for Joomla. In very short time. Build anything, simple to complex with layout builder. No coding required. You probably know the most popular WordPress page builder — Visual Composer. Now Joomla has it own builder — Quix. Template development done right, based on a well-engineered Warp 7 Framework. On the frontend we used UIkit — a lightweight and modular front-end framework for developing fast and powerful web interfaces. UIkit gives you a comprehensive collection of HTML, CSS, and JS components which is simple to use, easy to customize and extendable. Acamar Template has a fully responsive layout that adapts perfectly for all device resolutions like mobiles, tablets and desktops. Powerful Warp 7 Framework made with UIkit. Quix — Drag & Drop Layout Builder and Page Builder. Carousels, Slider, Buttons, Gallery, Team, Tabs, Accordions, Animated Number, Modals, Pricing, Google Maps, Ajax Contact forms, Call to Action, Buttons, Testimonials and more. Quickstart Package. Install quickstart demo to get same website as our demo. JoomShoping Integrated. Turns your Joomla site into a powerful and full-featured e-commerce solution. Create online store or catalog with ease. Configure the extension to handle multiple products and categories and support a wide range of shipping and payment options. Multiple Headers. Acamar comes with several header layouts to match your personal taste. One places the logo inside the navbar, the other one above it, so that big logos fit easily and maintain their proportions. Powerful Menu System with columns, icons, multi level dropdowns and Off-Canvas Menu. RTL languages Support. With carefully styled every part of template for RTL (right-to-left), Acamar supports middle eastern languages such as Hebrew and Arabic which are written predominantly right-to-left. Sticky Header with menu. Improve your website usability using Sticky feature. Main menu and logo will always be at the top of the screen, automatically following when user will scroll down. Unlimited Colors. Acamar Template Customizer allow create your own style. You can pick colors, modify sizes, select fonts and much more with a real time template preview. We added 6 amazing color styles. And you can build your own color style just a minutes. 600+ Google Fonts – Typography based on Google Fonts. Custom Offline and 404 Pages. Icons, badges, module class suffixes. Scroll animation (fadeIn, rollIn, bounceIn and lots more) option for different blocks. Well documented PHP and LESS files. Acamar Template require PHP 5.6+ to run properly. Just ask your host to upgrade your PHP to latest version. Joomla! and Acamar runs perfectly with latest PHP 7. 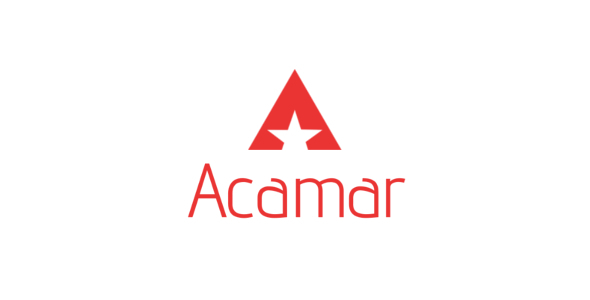 Use this package to install Acamar template on your current Joomla site. Use this package to install on your site demo as seen on Acamar demo website. This includes Joomla 3.7 version, all the sample data, all the images and videos. Note: Some images are just used for Preview Purpose Only. They are not part of the template and NOT included in the final purchase files.